Once or twice over the course of this blog’s short existence I’ve written about some of my traditional family recipes. If there was an urtext that was the ultimate and prototypical family recipe growing up, then it was the recipe for Swedish Rye Bread. My mother’s family is 100% German and my father’s is correspondingly 100% Swedish. So, one might naturally think that it was my father responsible for introducing and making this bread. Reality however is much less clear. It was an ongoing debate in my house as to whether my mother or father is responsible for learning this recipe from my Grandmother on the Swedish side. Each one claims credit for the original making of the bread. I, not wanting to get in the middle of such an amusing (and not entirely in jest) feud, will take no position. Not that I really have any basis to weigh in with my opinion anyway. Many of my family traditions involve food. (See this earlier post about Chicken Szechwan and Peanuts.) This food-focused sense of tradition is especially true around the holidays. Christmas cookie baking was always a big deal growing up, and no Christmas season would be complete without a full complement of different cookie varieties. And it wasn’t just the resulting sweets that made holiday cookies so special; it was the process of making the cookies itself. My pie obsession isn’t entirely new. As my mother would be happy to tell you, at some point in elementary school I declared that apple pie was my favorite smell in the world. This is probably still true. 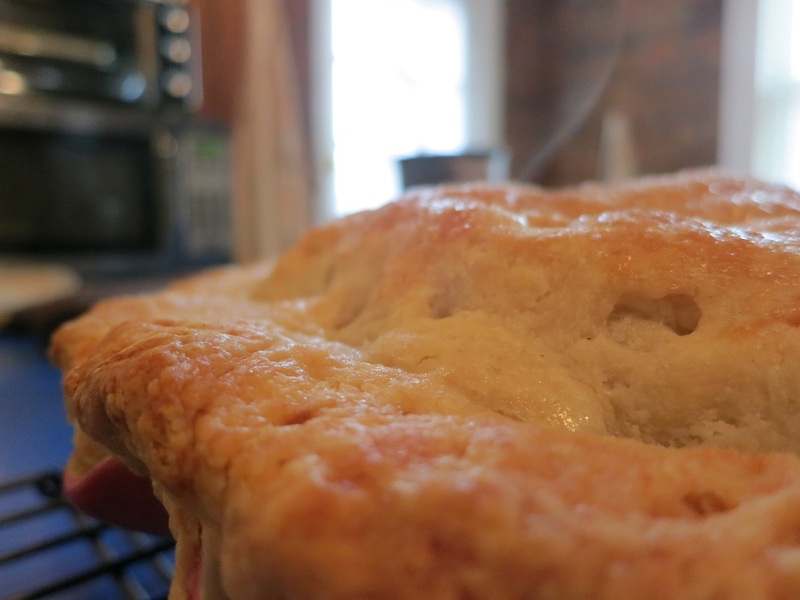 What is new is the fact that I’m no longer just the pie eater—I’m also the pie maker. The transformation from one into the other came about in large part because I was seeking out a culinary challenge. It seems that many people are intimidated by pie crust; making pie crust is perceived as a time-consuming task whose prospects for success are uncertain at best. With that in mind, I set out to master the art of the crust.